The second annual Pacific Astronomy and Engineering Summit (PAES), sponsored by the Thirty Meter Telescope (TMT) and hosted by the Imiloa Astronomy Center, will gather high school students and educators from the TMT partner countries: Japan, China, India, Canada and the United States (Hawaii Island). Set for July 21-25 at the Imiloa Astronomy Center of Hawaii, located on the upper campus of the University of Hawaii at Hilo, the Summit will be an intensive five-day forum focused on astronomy and engineering. This year’s theme is “He Lani Ko Luna, He Honua Ko Lalo, The sky above, the earth (and the sea) below and all that is encompassed therein” is derived from a Hawaiian proverb that speaks to the synergistic relationship among the sky, earth, ocean and all forms of life. Each day will feature a different facet of the overarching theme. Participants will explore areas of science such as geology, geography, oceanography and meteorology in order to understand how the atmosphere above Hawaii interacts with the land and sea below to create the world’s best place for conducting observational astronomy and for advancing humanity’s quest in space exploration. “One of the Thirty Meter Telescope’s goals is to promote science, technology, engineering and math within the Hawaii island community. The Pacific Astronomy and Engineering Summit clearly helps to achieve that goal. I’m excited that the summit’s cultural presentations and field trips show the positive integrations of science and culture. At our first summit, last year, the interactions of the students, who were all placed in mixed teams, was one of the most exciting and beneficial aspects of the week. The relationships Hawaii Island students developed with students in Japan, China, India and Canada will stay with them for years,” Sandra Dawson said. Using the models of the acclaimed Ritsumeikan Japan Super Science Fair and the International Student Science Fair, students will have an opportunity to interact with professionals and experts within the science fields, especially those associated with astronomy and engineering on Maunakea, and to exchange ideas and solutions which advance their interest in STEM (science, technology, engineering, math) disciplines. Participants will also experience the natural wonders of Hawaii through field trips to the Hawaii Volcanoes National Park and to the Onizuka Center for International Astronomy at Halepohaku on Maunakea. 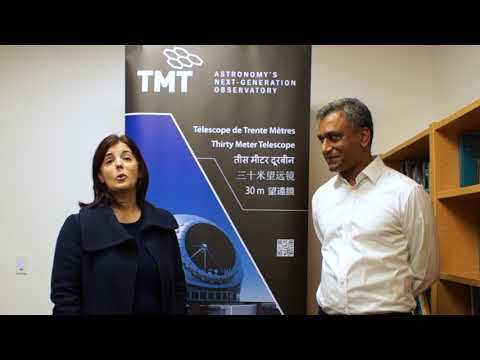 The Thirty Meter Telescope partner countries are represented by India’s Modern High School for Girls, China’s Beijing Planetarium, Japan’s Ritsumeikan High School and Keisho High School, and Canada’s Shawnigan Lake School. Hawaii Island high schools include Waiakea High School, Hilo High School, West Hawaii Explorations Academy and RISE Youth Program and Kealakehe High School.